← Whites rule. Got it? When Aussies aren’t searching for their self-esteem and meaning in volunteering for their master’s wars, they’re finding them in celebrating their football. 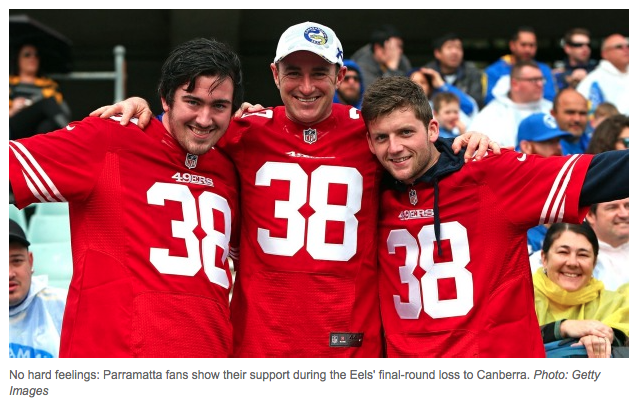 This entry was tagged Australian culture, Australian servility, Australian shame, capitalist ideology, Jarryd Hayne. Bookmark the permalink.